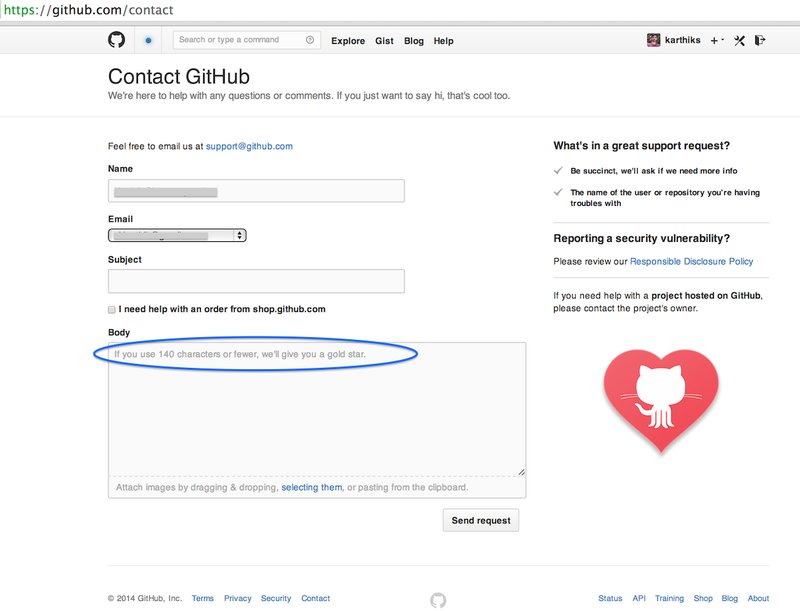 Today I wanted to get Github's help in resolving an issue with my remote repository. So I went to their Contact Support page to file a request. The first thing that WOW-ed me was the simplicity of their page. Check the screenshot below. Do you see the niceties in the page? How many times have we thought of something like this in the web application we developed. I loved this lesson that I just learned. Now the fun experience isn't over yet. I tried to type in my problem in less than 140 characters. Honestly, I didn't believe I can until I tried. Thank you Github! 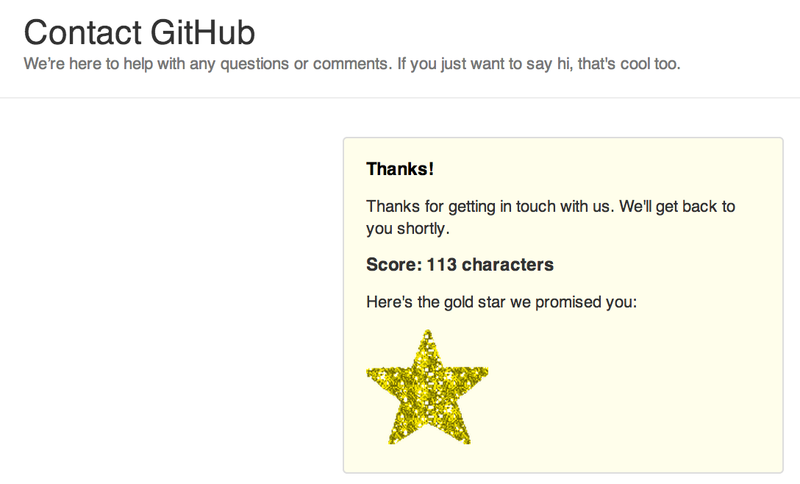 This is heights of craziness, I say.. Love you Github, you made my day!